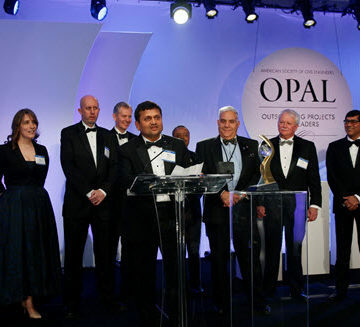 Team was the theme at the 2018 OPAL Gala, March 15, in Arlington, VA.
Anil Parikh, vice president and senior program manager at AECOM, thanked more than a dozen project team leaders and contractors, as he accepted the 2018 Outstanding Civil Engineering Achievement award on behalf of MTA/New York City Transit for the Second Avenue Subway – Phase 1 project. 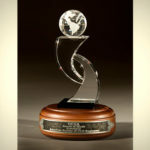 The Gala – ASCE’s annual Academy Awards of civil engineering – honors the best of the best in projects and civil engineers. 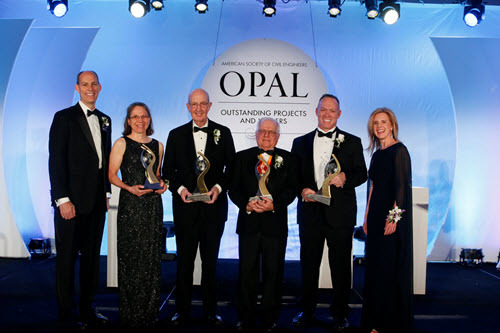 The OCEA award , established in 1960, recognizes the project that best illustrates superior civil engineering skills and represents a significant contribution to civil engineering progress and society. The Second Avenue Subway project was selected among five finalists. The first major expansion of New York City’s subway system in more than 50 years, the project included building some of the largest caverns in North America for two of the new stations. The tunnel liner was not the typical steel reinforcing bars, but instead only steel and polypropylene fibers. With such deep caverns, the team used 3D renderings to detail the proper arrangement of the rebar. The National Hazards Engineering Research Infrastructure Wall of Wind Experimental Facility, located at Florida International University, received the 2018 Charles Pankow Award for Innovation. Arindam Gan Chowdhury, director of Wall of Wind Experimental Facility, accepted the award with a heavy heart, just hours after a pedestrian bridge collapsed on FIU’s campus, killing at least four people. CBS News transportation correspondent Kris Van Cleave earned the ASCE Excellence in Journalism Award. Richard M. Kunnath, P.E., M.ASCE, board president of the Charles Pankow Foundation, received the Henry L. Michel Award for Industry Advancement of Research. 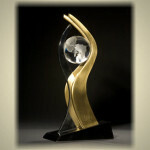 The award recognizes designers and constructors who increase the awareness and participation of the industry in research advancement. Kunnath spoke of team, too – specifically, fishing trips to British Columbia, Canada, with Charles Pankow and the award’s namesake Henry Michel.